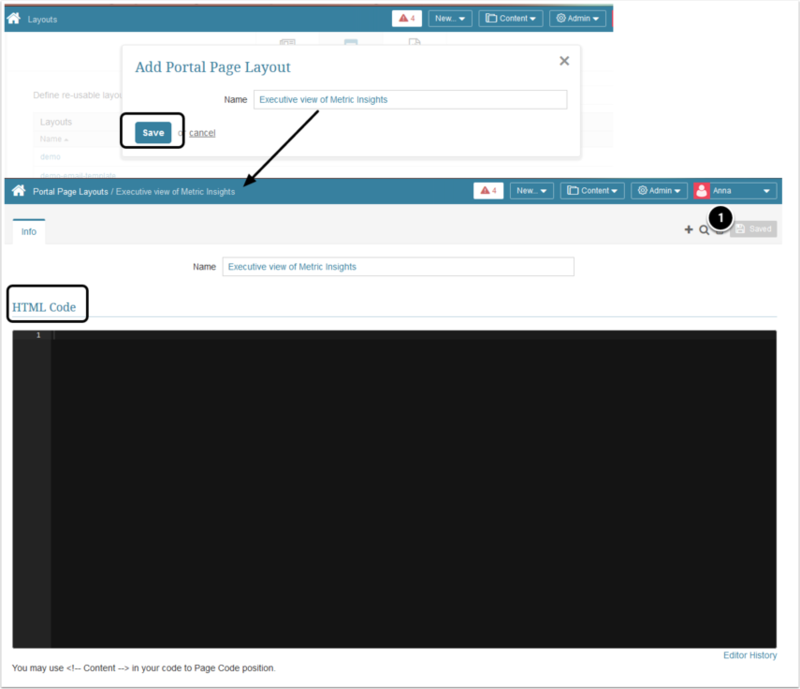 Portal Pages' functionality enables to build highly specific and customized User Portals, displaying content from your Metric Insights instance. This is achieved by means of Page Layouts acting as templates that help standardize the look and feel of separate pages. This article gives an overview of the Layouts, covering their purpose, structure and special considerations for usage. <!-- Page Name --> and <!-- Content --> are variables. 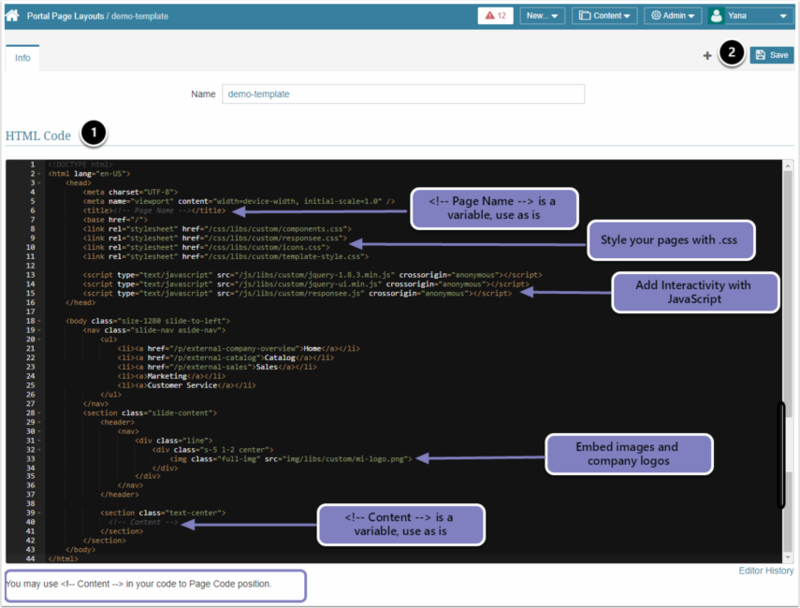 The system will use the Portal Page Name and Content specified in the Portal Pages Editor and automatically insert them into the code. Use the exact names of the above variables, keep the capitalization and all the syntax. Otherwise, the system will not be able to interpret these sections of the code.